Of love, betrayal and redemption. The day I heard about Ravi Subramanian coming up with a new book, I was excited. Then I read it is a "romantic thriller" and confusion stepped in with my excitement. Romance? Clubbed with thriller? But then I got hold of this book. The author has done exactly the same job which makes me hate the contemporary so called Indian authors. But then I realized that is what he intended to do. Genius! Very, very simple narration. In fact, a very typical narration (unlike Ravi) which makes you believe that this might be just another book by the sorts which you would want to avoid. But yes, then you will realize this is what the plot is about and what it demands. Set in the modern day India, this is a story about a fresh IIM graduate, Shreya, who aspires to be an author someday. The connection to the setting is instant. Most of us, or at least the target readers, are the ones who lie in this age group when everyone aspires to be an MBA. That is the sad story of our country, no? However, this talks more about how the things work in the world that lies beyond the big b-schools. As I mentioned this is a romantic thriller, you will find yourself unfolding the story of Aditya, who is a banker with the leading bank of India and a successful present the writer who writes the best-sellers. The resemblance to the present day authors is uncanny. Aditya is happily married with a kid and he finds his life turning upside down after he faces an argument with this girl from his alma mater where he was delivering a talk. Shreya soon transforms from a hater to a fan to a lover. But her real intentions were never known to anyone. 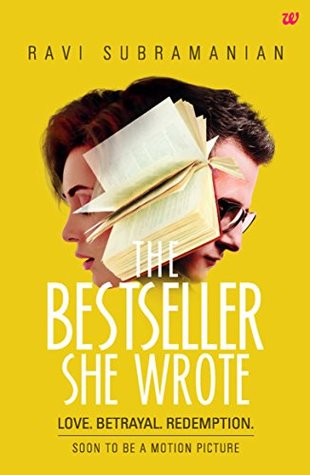 The book is not really "unputdownable " but yes, you will find yourself finishing it in a few hours because of the wonderful narration, unmatched story building and the instant connection that you make. The thriller part of the book is good but I loved the part which uncover the betrayal and redemption part. This is a typical bollywood which you will find yourself reading. Quick read, as I said. But yes, it will play with that part of your brain which you know is a bit evil and should not surface. Things do get that evil. People you trust do betray and people you love are there to stay. These are the important key takeaways from this book. I liked the book and would definitely recommend. It is a good way to set your pace for readin, if you have taken some good reading resolution for the year 2016.